Photo courtesy of HDR, Inc. Photographer: Keith Philpott. A new report shows the federal government’s efforts to regulate silica will cost the U.S. construction industry up to $5 billion annually, about 10 times more than earlier estimates. The proposed rule would threaten jobs, the report says, without necessarily enhancing worker safety beyond the enforcement of current standards. The “Construction Industry Safety Coalition,” or “CISC,” released a study showing the Occupational Safety and Health Administration’s (OSHA) proposed rule to regulate silica will cost $4 .5 billion per year more than agency estimates when it issued its notice of proposed rulemaking. In its March 26 report, CISC warned that the flawed cost estimates are an illustration of even more problems with the proposed rule and urged the agency to reconsider the proposal. The rule, un-amended, would reduce the permissible exposure limit (PEL) to crystalline silica to half that of the current standard, with a requirement to begin certain preventative measures when exposures reach one-quarter of the current limit. The CISC report warns that such regulation could lead to significant job losses in construction and other regulated industries as compliance soars past OSHA’s original estimate of $511 million per year. In comments before an OSHA panel in 2014, ARTBA raised questions as to why the agency is producing such a burdensome standard when the number of silica-related deaths has declined so dramatically in the past 30 years. Between 1968 and 2002, the number of silicosis-related deaths in the construction industry decreased by 93 percent, according to the U.S. Center for Disease Control (CDC). ARTBA also suggested that better enforcement of the current standard would achieve worker health results similar to the goals announced in the proposed rule. ARTBA is a founding member of CISC, which is made up of 25 trade associations, representing all sectors of the construction industry, including commercial building, heavy industrial production, home building, road repair, specialty trade contractors and material suppliers. 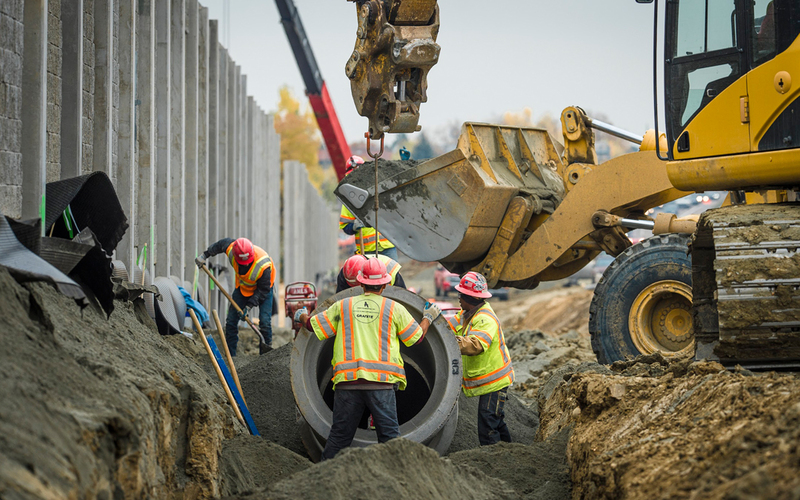 Workplace safety and health is a priority for all members of the coalition, and each is committed to helping create safer construction jobsites for workers.